Would you like to knock out your debt? Are you ready to lower your debt load, or even become totally debt free? Read on for an explanation and example of the power behind the debt snowball. Or make additional payments, focusing on the lowest balance debt. That fourth option is called the debt snowball. While Dave Ramsey didn’t invent the debt snowball, he certainly made it popular through Financial Peace University and talking to his millions of radio show listeners. Isn’t a Debt Avalanche Better? The debt snowball focuses on the smallest balance first, regardless of the interest rate. The debt avalanche method focuses on the highest interest rate debt first, regardless of the balance. From a purely dollars-and-sense view, the debt avalanche method makes sense. 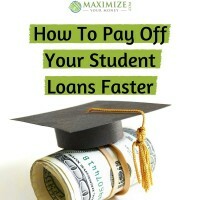 It can save money by lowering the total amount of interest paid over the life of the loans. A plan that you will execute is infinitely better than a plan that doesn’t get followed. Study, after study, after study, show that – if you’re an average American – you are more likely to stick with the debt snowball than the debt avalanche method. I like charts. You like charts too, right? Let’s look at a case study now to see how a few different debt payoff methods work out over time. Making the minimum payments as noted above will have this sample debt load paid off in about 34 years. Over that period of time you’ll wind up paying over $130k in interest payments! That’s an image from the debt management module used for my financial planning clients. This shows the balance of the debt total over time as it gets paid down. Let’s now consider if you have an extra $250 per month you could put toward debt payments. The easiest way to allocate this money would be to split it across the debts. Five debt payments, so we’ll allocate $50 to each. Wow. Big difference huh? Just paying an additional $250 per month in this case would make you debt free 15 years sooner! And it would save more than $30,000 of interest payments! Well, that’s pretty powerful. If you thought that paying a few hundred extra each month on your debt was a waste of time, I hope you’re rethinking that now. What If You Debt Avalanche With The Extra Amount? OK. Now consider if you are purposeful in how you allocate that extra $250/month. This time we’ll consider a debt avalanche, which would be focusing on the debt with the highest interest rate first. Just by reallocating the payments you will save another $20k worth of interest payments. You also cut another 13 years off the time it takes to be 100% debt-free! How Does The Debt Snowball Stack Up? I already warned you that from a pure numbers perspective the avalanche saves more than the debt snowball. How much though? Just in case you’re thinking “well, I’m smarter than average so I can stick with a debt avalanche”, here’s more to think about. Here is how the debt pay off looks when using the debt snowball method and that same extra $250/month. While still an impressive savings, the debt snowball in this example takes an additional three months to complete, and costs several thousand dollars in interest payments. Forget that! Go with the option that saves the most money, right!?! If it were about paying the least amount of interest possible, people wouldn’t be in debt in the first place. They’d pay cash and avoid any interest payments. It isn’t just about the finance – it’s personal. It’s mental and emotional. Dave Ramsey says “its the guy in the mirror” that messes him up. Studies show that using this debt snowball method – even though not the best “math-wise” – is your best chance of getting out of debt. Do you have what it takes to become debt free? What’s Your Debt Pay Off Plan? Are you currently paying off your debt? If so, what method have you been using? Has it been working well for you? Will you consider changing methods after reading this post? If you would like to work with a financial coach to build a custom financial plan to achieve your goals, just reach out. It doesn’t cost anything to set up an initial phone call to discuss your needs and see how a workable financial plan might help you live the life of your dreams. Interesting charts and the comparison of the snowball versus the avalanche. Of course no matter which method you choose, one of the keys is not increasing your debt along the way, and that will probably require an emergency fund of some sort. Yeah, that’s a great point Gary! Key in any of these scenarios is not adding to the debt. And the emergency fund is a huge help in avoiding that. Thanks for stopping by and commenting! Brad, nice article, I think you really hit home with folks with your buddy Tim’s statement, “personal finance is more personal than it is finance.” This is what most miss when they look purely at the numbers but forget it was their behavior that got them here in the first place. Wonder what the percentage of success is of those that used the Debt Avalanche vs Debt Snowball, I suspect the Debt Snowball has been the most effective to elicit change. Thanks Boris! Yes, quite a few studies have confirmed that people are more likely to achieve debt-free success using the snowball vs avalanche methods. Great tips here. For someone who has discipline, following the avalanche payoff method certainly provides more value. Although this can be difficult for many Americans, I think that using new apps and other hacks can make it easier to motivate yourself while still following the most efficient method for paying off debt. Great read. The only debt I have today is my low rate mortgage. I guess I’m more of the “wouldn’t be in debt in the first place” part of your quote so maybe my thoughts are not relevant here. Still, if I had to blindly choose between the avalanche method and the snowball, I’d pick the avalanche every time. I’m a math guy and paying down a low rate before a high rate is literally throwing money away. In my opinion, there are two big reasons to go with the snowball though. 1) If cash flow is very tight, eliminating the low balance loans will add flexibility. 2) If eliminating loans faster will increase motivation and encourage someone to finish their loan payoff. To me, those situations are the times to throw away the mathematical optimal path and go with the snowball. P.S. I wonder what the timeline difference in your example would be if the Credit Card starting amount and the Student Loan 1 starting amount were switched at the start. You have better discipline than most Jason. Lots of studies (like the couple I linked to) show that – even though the math doesn’t support it – the debt snowball has a higher level of success for people who are paying off their debt. As for the scenario at the end… I swapped the $30k into the credit card balance and increased the minimum payment to $900 (which is what it would be) and I lowered the student loan balance to $16k. The difference in this scenario is one month and about $2,000 in total payments. Thanks for stopping by and sharing those thoughts! I’m a numbers guy, so I prefer the avalanche method. That said, you’re absolutely right that “A plan that you will execute is infinitely better than a plan that doesn’t get followed.” And the difference between just paying the minimums versus the snowball method is larger than the difference between the snowball and avalanche method. Oh, and in my efforts to try to find examples to compare snowball versus avalanche I’ve noticed that they’re often the same – the smaller balances tend to have the higher interest. Hey Joe, thanks for stopping by! Yeah, I’ve noticed the same when working with clients. Thankfully the larger interest debt is often smaller. The bigger items – school loans, cars, etc – tend to have better rates. So it is indeed quite possible that an avalanche and a snowball would actually work the same. Thanks for sharing that thought.